Unbeknownst to us, our last show (11/9/18) at Vintage was recorded. For those who couldn't make the show, or anyone who might want to relive the experience, venture to YouTube and turn those speakers up: ​https://youtu.be/mC_sqbP2ePM! We three Honchos have been laying low lately, but that's about to change. We'll spare you the gory details, but a series of personal matters have kept us relatively inactive since the spring. Chris has played a few acoustic shows, and an altered lineup (Thanks, Kevin!) played the Steel Bridge Festival back in June. Tonight we make our first appearance at Milwaukee's Circle A to bash out a few tunes, our first full lineup show in some time. We're looking forward to blowing the dust off and rocking the joint. Hope to see you there. It's been a busy week for us, what with last weekend's CD release show and radio appearances on Riverwest Radio and WMSE's Chicken Shack. This week Wed--April 12, 2017--The Great Unknown Radio will be streaming Chicken Wire at 9 am, noon, 4 pm, 8 pm, & 11pm. Give it a listen. Like what you hear? You can snag your own by hopping to the audio page. It is now up and available on CDBaby, iTunes, and streaming all over the place. It is done! Our second CD, Chicken Wire, is now complete and in our tired hands. Physical copies will be available at shows and, soon, on CDBaby, as will digital downloads. We're also working on setting up some CD release shows. Check out the schedule and make your plans early. We'll have a direct link and streaming links on the Audio page soon also. In the meantime, a few choice teasers can be found there via our SoundCloud and ReverbNation pages. Work continues on the new release. After our initial tracking dates, we returned to Howl Street for overdub sessions. We then accepted the challenge of recording additional overdubs in the comforts of Riz's living room and began mixing in February. A few more overdubs and a final mix session in March should put us where we need to be for a late-spring/early-summer release date. Hopefully, we'll be able to lock in some dates and gigs soon. 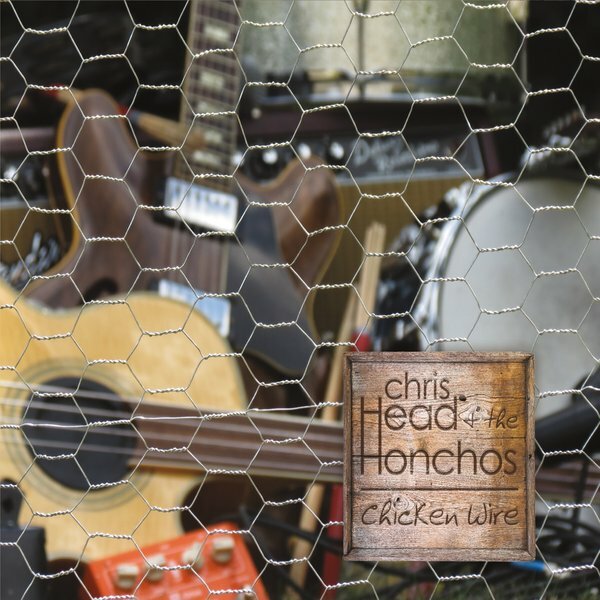 Chris Head and the Honchos is going back in the studio! November 7-10 we start tracking our second album with Shane Hochstetler at Howl Street Recording. Shane worked with us on Hard Truths, and we couldn't be more excited about capturing some of our newer material. More updates to come. Chris is flattered to be included in the Summer 2014 edition of Stritch Magazine. This new web edition of the publication recognizes alumni, staff, and students of Cardinal Stritch University who have distinguished themselves through their musical accomplishments. Pop on over and see what Chris has to say about his influences, favorite musical moments, and other topics: http://www.stritch.edu/Magazine/Summer-2014/Chris-Head/. Tune in to the Chicken Shack on WMSE, 89.7, or online. Hard Truths has been getting some spins there the last couple of weeks. Thanks for the radio love. Big thanks go out to WBSD and Studio Winery for featuring us in the Sunday Originals series and for spinning Hard Truths. Congratulations to Unclear on the Concept for winning the Battle for Catalano. Have fun at Summerfest, fellas. Hopefully, we'll meet again someday. We have advanced to the finals of the Battle for Catalano! Next round is May 18, 7:00 at Club Charlies. See the Shows link for more details. Your vote can help us win this thing, so come on out. Next round of the Battle for Catalano is Sunday, April 27. Wish us luck! We are pleased to announce that we have survived the first round of the Battle for Catalano band competition, in which area bands vie for a Summerfest gig along with recording time and a photo shoot. The next round will be in April, and we'll let you know the exact details once they're set. Make plans to head down to Club Charlies and cheer us on. More stuff is bound to follow.